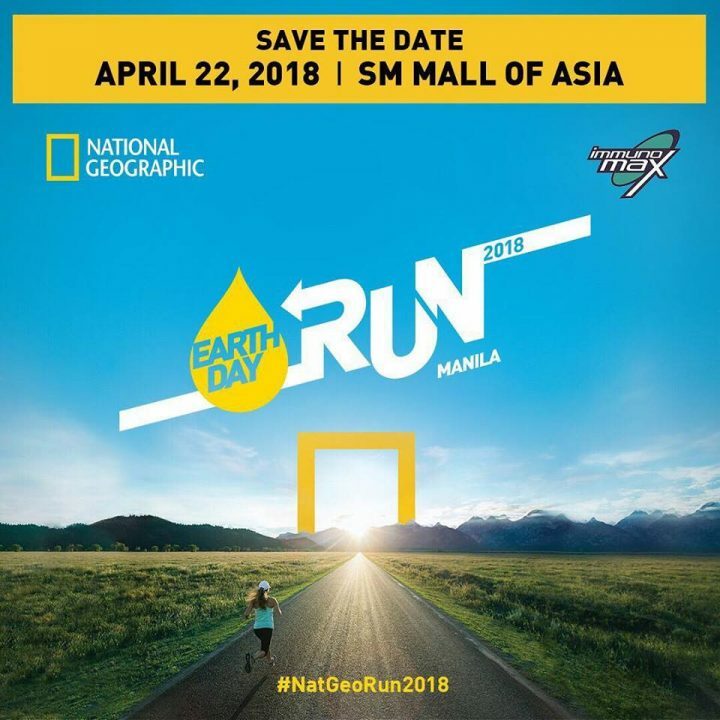 Nat Geo Earth Day Run 2018, one of the most awaited and well-attended running events in the country every year, is slated for April 22, at the SM Mall of Asia Grounds. Now on its 9th year, the Nat Geo Earth Day Run reinforces its commitment to preserving the planet by calling all “Eco Warriors” to be part of the exciting race which will coincide with the celebration of the International Earth Day. Following its success in the previous years, Nat Geo Earth Day Run 2018 will continue to extend its support to groups and societies with causes that are largely dedicated to environmental conservation. In the past, Nat Geo was able to give its support to organizations and communities such as the World Wide Fund for Nature, the Tawbuid Mangyan Tribe in Mindoro, and the Abuan Watershed in Sierra Madre. This year, Nat Geo Earth Day Run 2018 puts the spotlight on the fast-becoming global issue of water shortage. National Geographic vows to sponsor rain storage tanks to in-need communities remotely situated in Mindoro. Elite runners registered in the 21K category can join a series of running clinics where experts will share warm-up and cool-down lessons, hydration and post-run exercises that will help runners prepare for the race. The running clinics took place on March 5 and 7 and will resume on April 9 and 11 at Track 30th at Bonifacio Global City, Taguig. Registered runners will be able to receive a singlet, race bib, timing chip, water bottle and towel. 21K race finishers will receive a finisher’s medal, a loot bag and a finisher’s shirt, while 10K finishers will receive a finisher’s medal and a loot bag. Year after year, Eco Warriors rise up to the challenge of preserving the planet through the collective running phenomenon that began in 2009, the Nat Geo Earth Day Run. Since its inception, National Geographic religiously mounts the run open for all individuals who wishes to make their contribution in saving the planet, making this one of the most awaited and well-attended running event every year. I like the valuable info you provide to your articles. I'll bookmark your blog and test once more here regularly. I am slightly certain I will be informed many new stuff right here! Good luck for the next! Its such as you read my mind! You appear to understand so much about this, such aas you wrote the e book in it or something. I think that you simply could do with some percent tto force the message home a bit, however instead oof that, that is great blog. A fantastic read. I'll certainly be back. Its like you read my mind! You appear to know a lot about this, like you wrote the book in it or something. I think that you could do with a few pics to drive the message home a bit, but other than that, this is fantastic blog. A great read. I'll definitely be back.